Kykkos Monastery (or the Holy, Royal and Stavropegic Monastery of Kykkos) is located in the forest of the Troodos Mountains. The Monastery of Kykkos, which is dedicated to the Virgin Mary, is home to one of the three icons attributed to the Apostle Luca. The monastery is the richest and most lavishly adorned Monasteries in Cyprus and tourists and locals visit it by the busload. It is located in the Marathasa region on a mountain peak at an altitude of 4,320 feet. The Saint Neophytos Monastery or in Greek, Iera Moni Agiou Neophytou, is located 9 kilometers to the west of Paphos town. 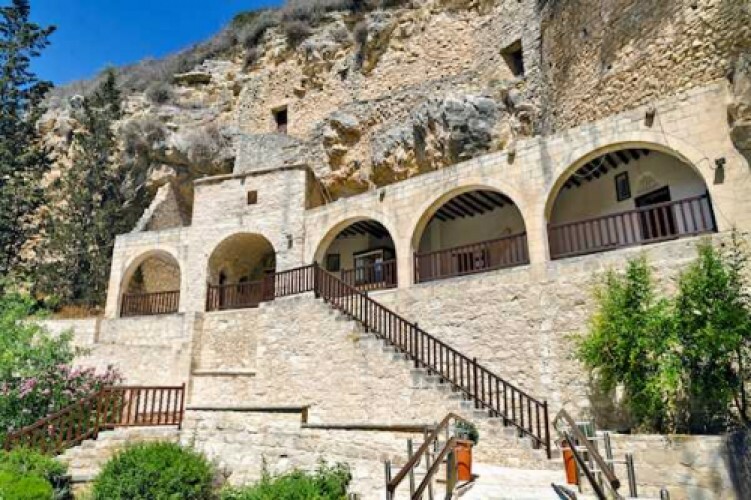 The monastery which was founded by the monk Neophytos in the 12th century currently houses a museum and a chapel which is built in a natural cave. Saint Neophytos pursued an ascetic lifestyle in the hills of Cyprus and found a small natural cave in this location in 1159. He excavated the cave to include his cell, a small chapel, and his eventual tomb. His table is sculptured from rock and the stone platform on which he slept as well as his grave, are still preserved in his cell. He soon accumulated followers and the area soon became a quiet monastic community in 1170, housing up to 18 monks. After the monk Neophytos died, at the age of 85 in 1219, he was buried within the Egleistra according to his own wishes. 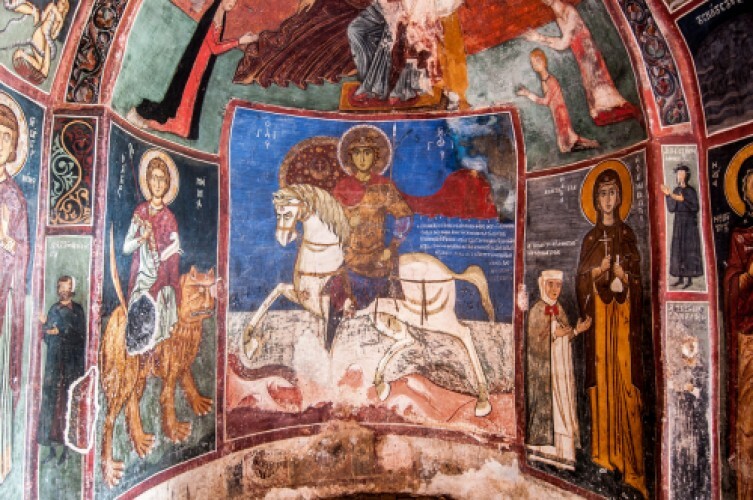 The &apos;Egleistra&apos;, which is an enclosure carved out of the mountain by the hermit, contains some of the finest Byzantine frescoes dating from the 12th century. The monastery is located in a quiet and beautiful mountainous area which is close to the town of Tala, Paphos. These magnificent painted churches are situated in the Pitsilia, Solea and Marathasa area of the Troodos region in central Cyprus. The churches are a UNESCO world Heritage Site since 1985 and include ten Byzantine churches and monasteries richly decorated with Byzantine murals that are said to have been built between the 11th and 16th century. 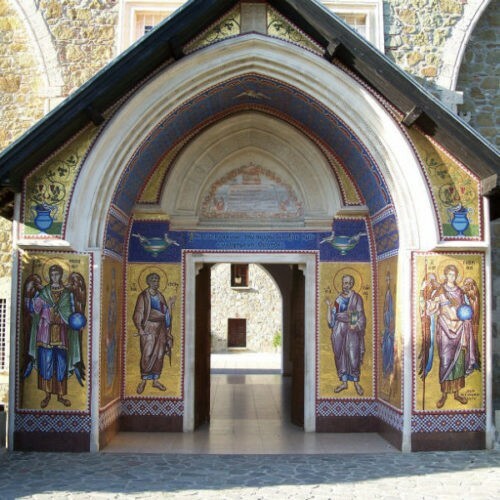 The region has one of the largest groups of churches of the former Byzantine Empire.All ten churches are well conserved and provide an outstanding example of Byzantine and post-Byzantine paintings. These churches are still used as places of worship by the locals who take great pride in preserving the authenticity of these structures. Set in the rural surroundings of the Troodos area, these churches are visited by thousands of tourists and local every year.